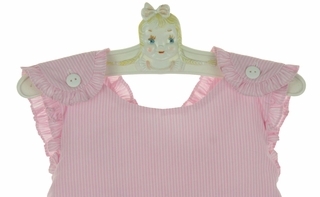 Made by Petit Ami, here's the most adorable vintage style pink striped sunsuit for your baby girl! Made of cotton and polyester blend, it has an A-Line front that is perfect plain or monogrammed. 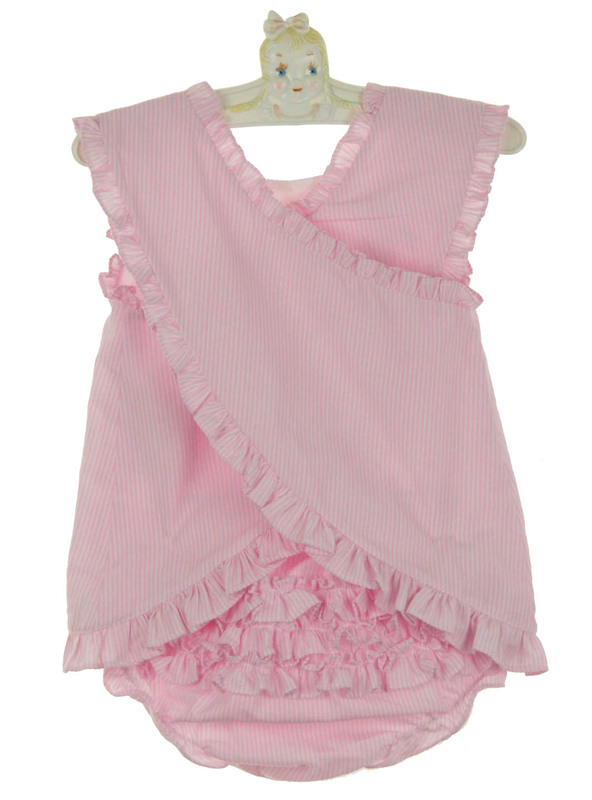 The back is a crossover style cut high in the middle to show a peek of the ruffle bottom bloomers underneath. 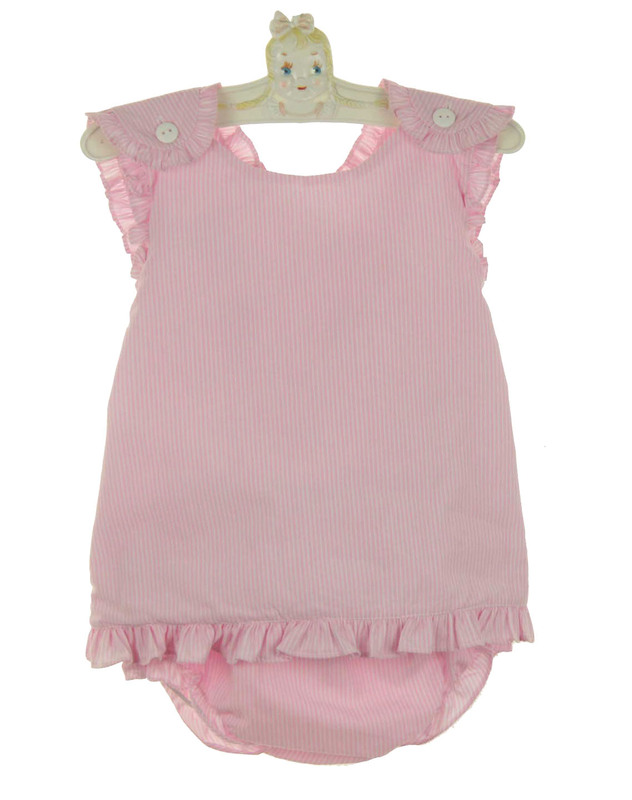 For an additional $10 charge, this darling romper may be custom monogrammed with a single initial, a a three letter initial, or a full name (up to 8 letters). 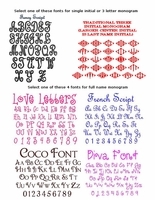 You can even add a cupcake for a special birthday monogram! See font styles. 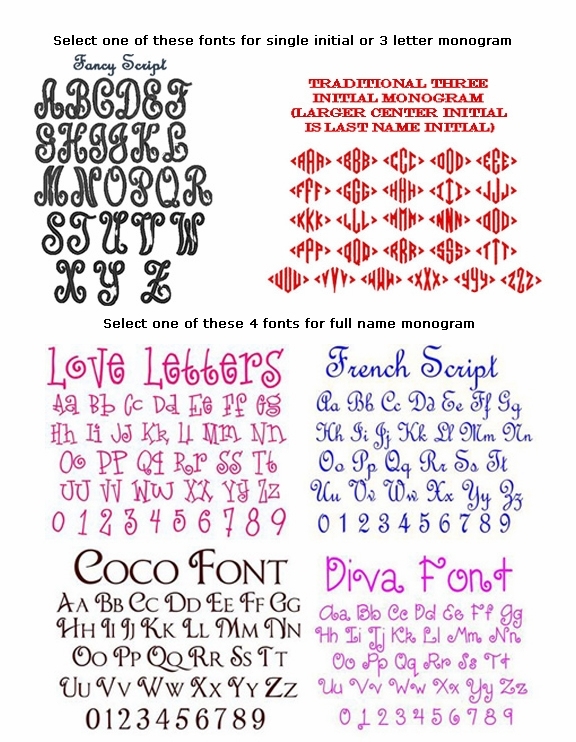 For more information about monogramming, see monogrammables section.